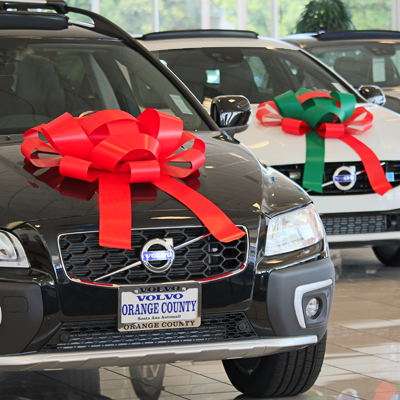 Decorate your Showroom or Frontline with these giant Holiday Bows. Great for Holidays, Birthdays, Anniversaries, Graduations or any special occasion! These Bows are designed to be used indoors or outdoors. Made of high quality weather resistant, waterproof vinyl. Each Bow has a soft non-scratch magnetic base that holds the bow to the vehicle hood or roof. Each bow is packaged so it arrives to you full and ready to display. No assembly required.